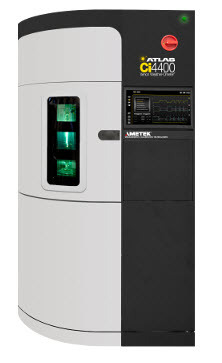 Atlas Material Testing Technology, the global leader in weathering technology and services, is excited to announce its next generation instrument in xenon-arc weathering testing - the Ci4400 Weather-Ometer®. This water-cooled, rotating-rack instrument combines Atlas' latest industry-leading innovative technology and user convenience with the scientific sophistication of Atlas' 100 years of weathering expertise. The Ci4400 replaces Atlas' popular Ci4000 model. According to Atlas Product Manager Matt McGreer, "The Ci4400 represents years of market research, customer feedback and engineering innovation. In developing the Ci4400, our goal was to incorporate several new features and improvements over the Ci4000. The Ci4400 offers a new industrial design, while providing test results consistent with our legacy instruments."